During my recent research trip to York County, I hadn't planned on visiting the Sharon Temple Museum because I was short of time and had too many other scheduled places to visit. But on one of my trips through Sharon, I decided on a whim to stop and explore. After all, my husband is related to the Doan family who built the temple, albeit a fourth cousin. In the first decade of the 19th century, thousands of British loyalists and land-hungry farmers and entrepreneurs entered Upper Canada (now Ontario). Many made their way to York County, and in particular to the area north of the city of York (now Toronto), and began clearing the thick forests crossed by Indian trails. One of the earliest settlers was David Willson, born 7 Jun 1778 in Dutchess County, NY. David's wife, Phebe Titus, a birthright member of the Society of Friends, was disowned by the Friends for “going out from plainness and keeping company with one not of our society." In 1800 when David's brother emigrated to Upper Canada, David followed with his family. 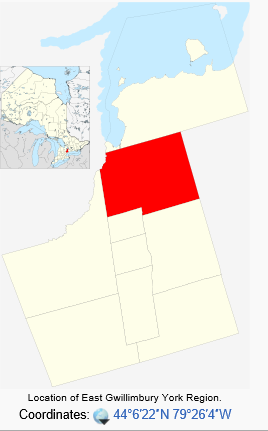 By 1801, David had acquired a Crown grant and settled on land that would be part of East Gwillimbury once the township was incorporated 1850 (red on the map). 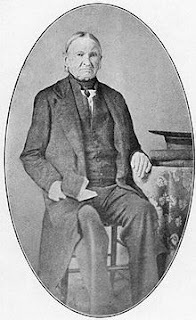 In 1804, David Willson and his family joined the Yonge Street Society of Friends and by 1811, David had begun preaching. However, David's ministry was rejected by an elder of the Yonge Street Meeting. The following year, David started having meetings in his own home. His followers, including many former Friends, were known as the Children of Peace. Now before you start wondering what radical ideas David was preaching, you have to understand that David loved music and he believed it should be an integral part of worship. The austere Friends believed one should worship in silence until the message was given. Others agreed with David and soon the Willson house was too small to accompany all the followers and the first meeting house, made of logs, was built. David Willson wanted to rebuild Solomon's temple of the Old Testament as the New Jerusalem detailed Revelations 21. It would hold an altar similar to the Ark of the Covenant, and incorporate the New Testament. 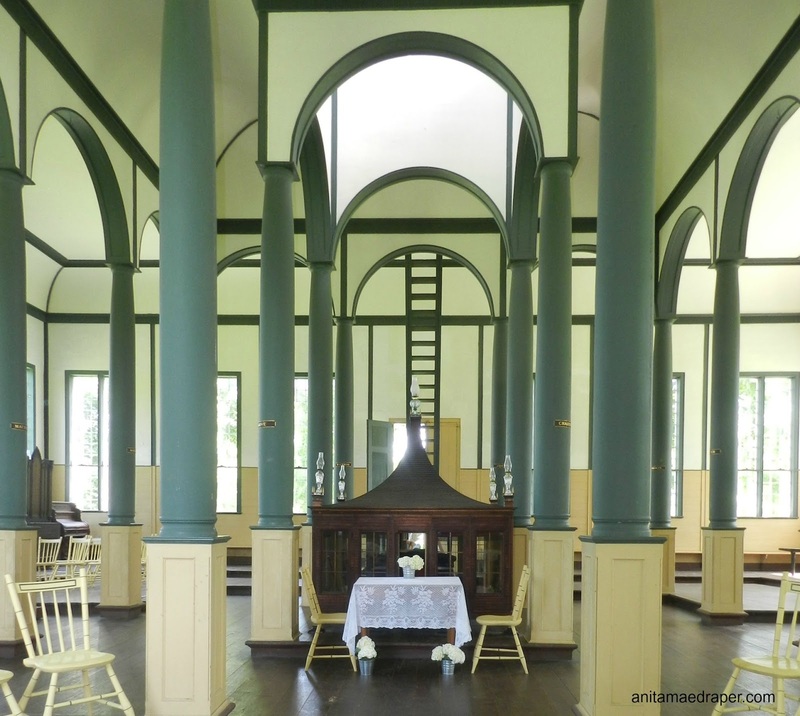 He hired another former American, Ebenezer Doan and together the two carpenters designed a grand temple on the grounds of David Willson's farm. 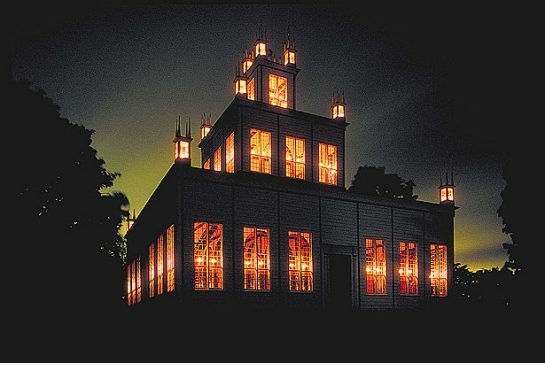 Square in plan and painted white with green trim, the Temple of Peace is a unique frame construction building comprising three tiers that rise from a 60-by-60-foot base to a 12-by-12-foot lantern. Each tier has tall multi-paned windows on all four sides with a small pinnacle at each corner of the roof. 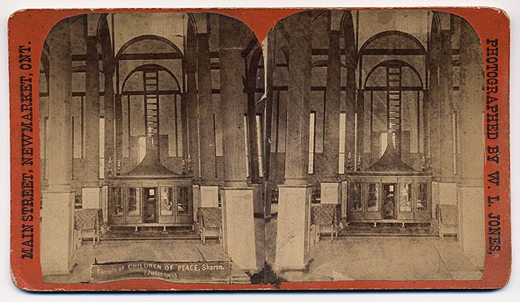 Every element of the Temple was intended to symbolize some aspect of the sect's religious beliefs – the three tiers represent the Trinity; a door in each of the four sides allowed people to enter on an equal footing from all directions; equal numbers of windows on each side allowed the light of the gospel to shine on the assembly with equal strength; four pillars supporting the lantern were inscribed with the words denoting the cardinal virtues of faith, hope, love and charity; and 12 pinnacle lanterns and 12 interior pillars represent the apostles. A central space housing the altar is approached from four aisles, each commencing and radiating from a doorway. The continuous arcade of 12 turned columns supports the second tier. In the centre of the Temple is the tabernacle – an artifact of remarkable design, proportion and wood joinery. Because the stereoview doesn't show the inscribed words on the pillars as mentioned in the above quote, I'm showing you one of the photographs which I took of the Sharon Temple in June. Look about two feet above the base of the pillars and you'll see the plaques where David Willson ensured the New Testament was represented. 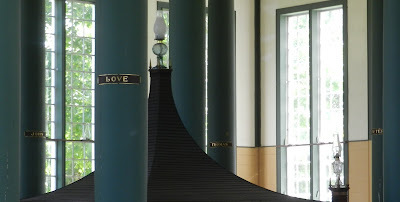 Sharon Temple interior, June 2015, decorated for an upcoming wedding. The four pillars at the corners of the Ark show, Faith, Hope, Love, and Charity. The twelve posts surrounding them each contain the name of one of the twelve Apostles. The Children of Peace believed in a cooperative society. They named their village, Hope, and built the first homeless shelter in Canada called the House of Affliction, where those in need could be helped until they regained financial independence. This was the purpose of the temple - to raise money to feed and clothe the poor as mandated by God. 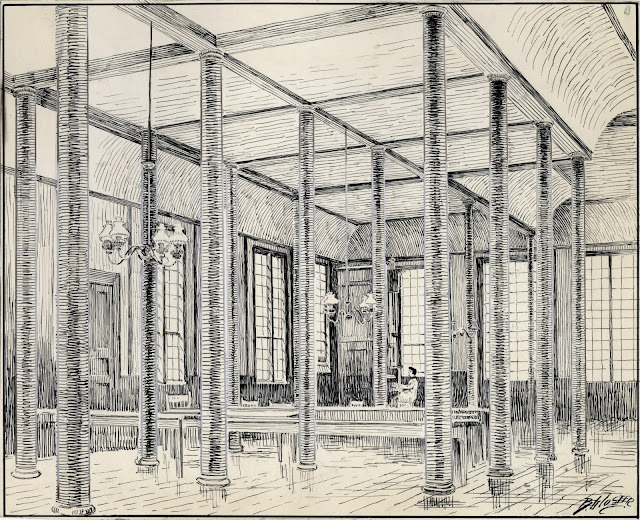 Once a month, the temple was opened for such a purpose and during the meeting, members would walk toward one of the four tables surrounding the Ark and place money to be used in the House of Affliction. Hope was so important that it is inscribed on the golden ball suspended at the highest point of the church, which was the highest point of the Village of Hope (now Sharon). Due to its high position in the village, the temple could be seen for miles when all the window candles and the 12 corner lanterns were fully lit. The number of corner lanterns were chosen to symbolize the 12 apostles going out into the world to spread the gospel of salvation. In effect, the illuminated temple has always been a physical reminder of hope. In 1824 with wheat being the biggest commodity of the time, the members organized the Farmer's Storehouse which became Canada's first marketing co-operative. A large warehouse along the shoreline of Toronto's harbour, it was used to market wheat in Montreal, and then pay the members in cash or finished goods at reduced prices. The members were generous and by 1832 there were concerns about excess money in the Charity Fund just sitting there, unused, and not gaining interest. The result was a credit union where members could borrow as needed, while the interest depended on their ability to repay. The Village of Hope prospered. 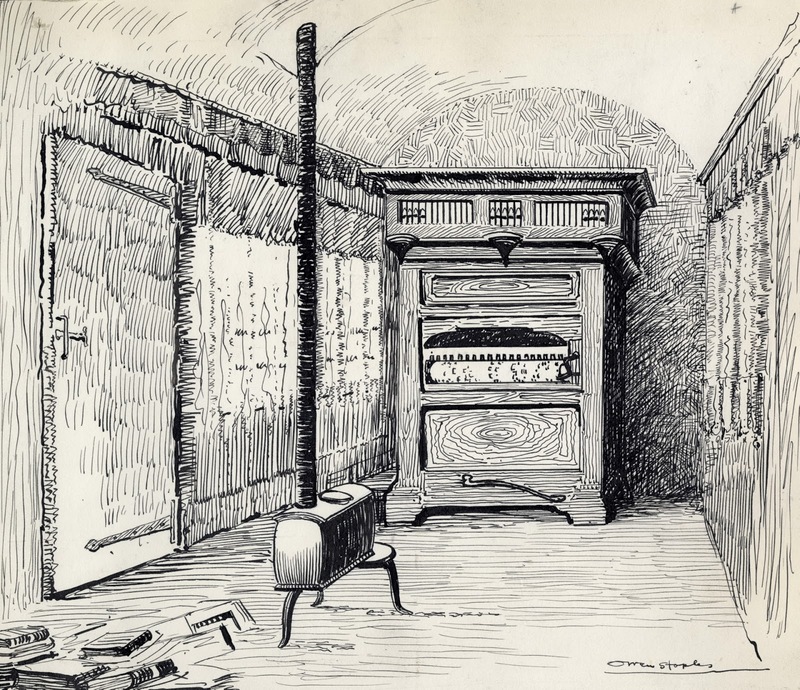 Schools had been started early and included a ladies boarding school where the curriculum included Domestic Science. By 1834 a new meeting house was required. Three times the size of the original log one, the second meeting house was surrounded by a colonnade of pillars, it matching David Willson's study, which was built in 1829. 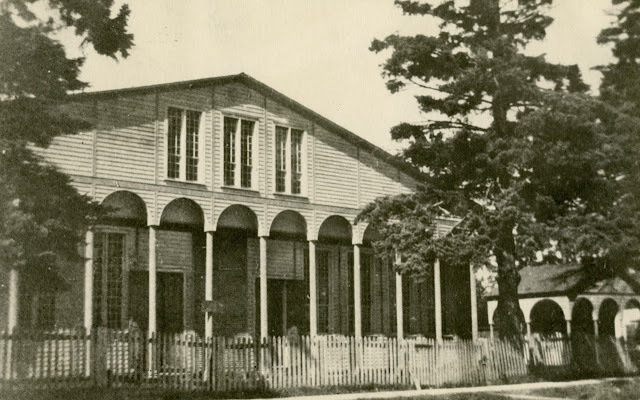 When the second meeting house was completed in 1842, the original log one became a Music Hall and was used for entertainment as well as band practice. In 1819, before the temple had been started, David Willson hired York (Toronto) musician, Richard Coates, to build a barrel organ for the meeting house. The first one in Ontario, it is now the oldest barrel organ in Canada. Coates built a second barrel organ for the Children of Peace and then a keyboard organ. 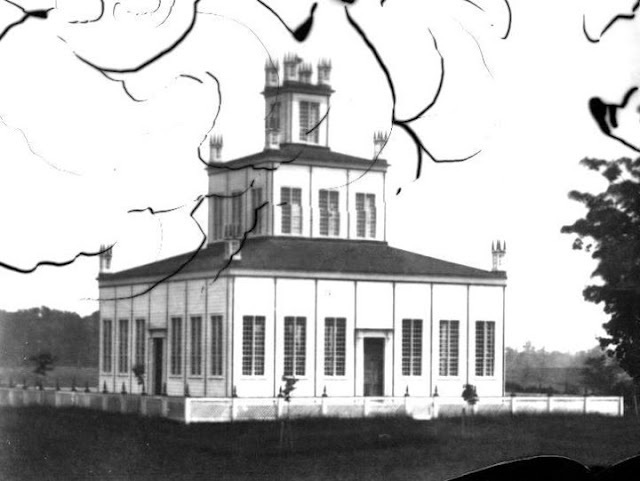 All three organs are still in the Sharon Temple. Music had always been a big part of the Children of Peace community. In the line drawing of the interior of the second meeting house (below), you can see a woman playing an organ in the back corner. When David Willson died in 1866, his aging son took over as leader, but he lacked the charisma of his father. In 1889, the last Children of Peace service was held and the group dissolved. 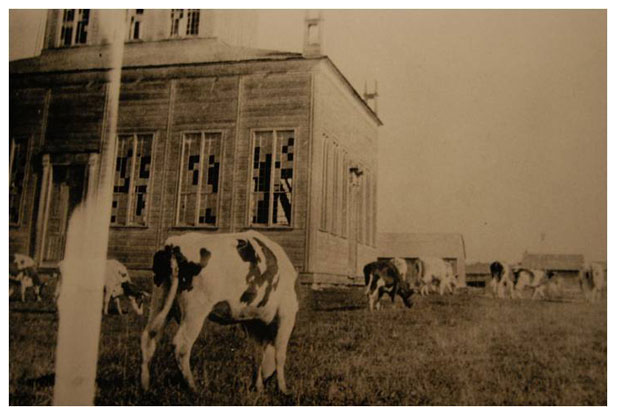 Now known as the village of Sharon, the temple grounds were rented out and for a time even used to shelter cattle. 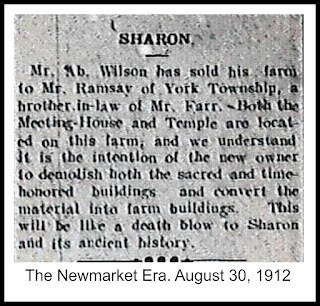 This 1912 article from the Newmarket Era is very stark in its announcement that the "sacred and time-honored buildings" will be demolished and the materials used to make farm buildings. I can't help but wonder if the article's writer is more concerned with the loss of revenue from tourists visiting Sharon than for the loss of the unique buildings themselves. In 1915, the 2nd Meeting House which had been built in 1842, was torn down. However, recognizing the importance of the Temple as an historic and architectural treasure, the Toronto-based York Pioneer and Historical Society started raising funds. 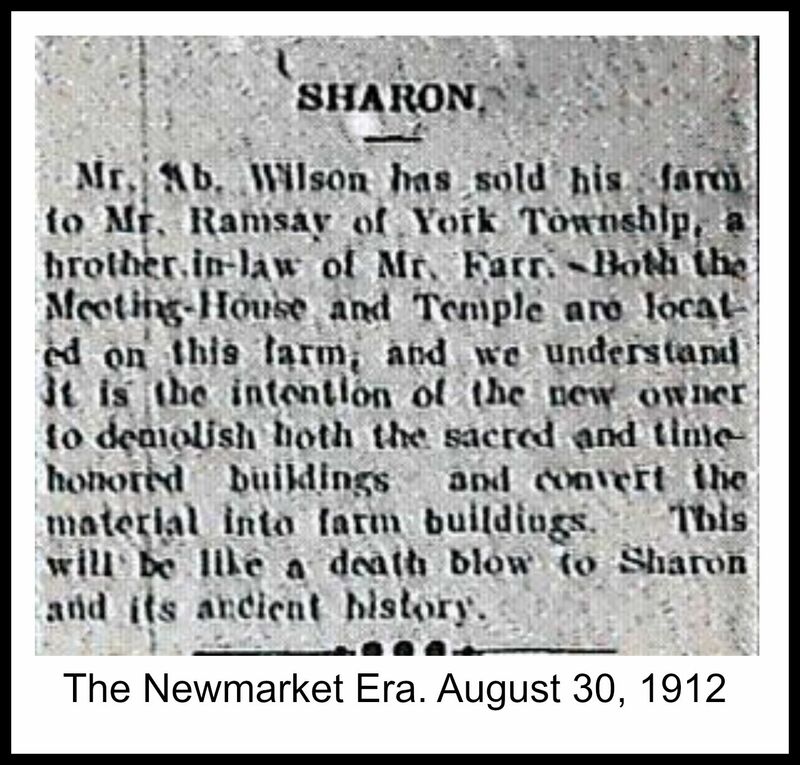 By 1917, they purchased the Sharon Temple for the purpose of restoration and by 1918 the building was opened as a museum. This is one of Canada's earliest examples of historic preservation. Shortly afterwards, the York Pioneers moved David Willson’s study to the site. The site has a collection of restored buildings and displays pioneer artifacts and historic items related to the sect, including the original house and buildings from the farm of the temple's master builder, Ebenezer Doan. The Sharon Temple and David Willson's Study (left side), June 2015. Since 1990, the Sharon Temple has been a National Historic Site and Museum. It is also a National Peace Site. What did I think of the place? I was awed by the grandeur and simplicity. History echoed in the temple even though I was alone with only a breeze from the open doors moving through the building. And trite as it sounds, I've never felt so much peace as I did sitting on a bench along one wall and just listening to the past. What about you? Do you know of a place that was saved from demolition in the nick of time, and has become a museum or national historic site? Fascinating post! I'd never heard of The Sharon Temple or David Wilson. Now I want to go see it! Debbie Lynne, although I don't usually promote off blog, I'll say that I will be showing the color photos I took of the Sharon Temple on Aug 19 at Inkwell Inspirations. Then on Sep 5, I'll be back here showing all the old and new photos of the organs, band, and the second story of the temple where the band played. Oh - and close up photos of the ark/altar which is where the prolific David Willson hid all the music he created. I never heard of the Sharon Temple either. I'm so glad the historic society was able to save it, although it's sad the other temple was torn down. That historic architecture is always interesting to see. Vickie, I agree. 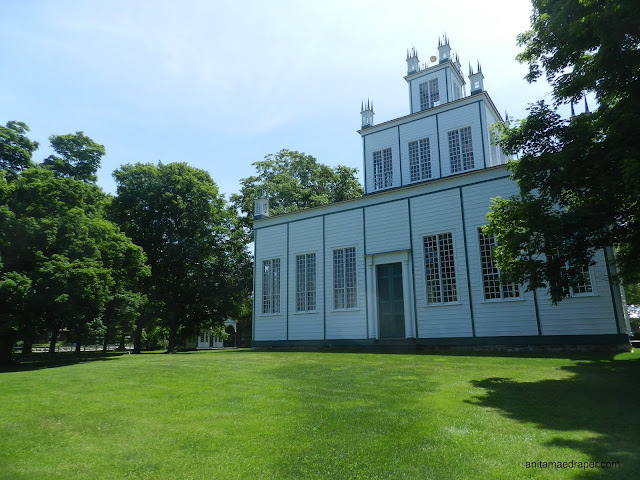 Since all the buildings were designed and built by the same people, it stands to reason that the 2nd meeting house was as sound as the temple and David Willson's study, both of which we saved. But so far, I haven't found anything to suggest the reason other than that the farmer who bought it needed the materials. This is so very interesting. I love history. Thank you for sharing. 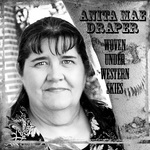 Great illustrations and information, Anita. Thanks! You're welcome, Linore. Thanks for stopping by. Hey Maxie, something that was once called a Seventh Wonder should be saved, but I wonder if the big problem is safety and worry that the dome will fall and cause injury? What it comes down to is balancing human safety against history, and then trying to find money to even it out. And of course, the bigger the historic building, the more expensive it becomes to save it.